Andrea Cuomo is ST’s Executive Vice President, Advanced Systems Technology (AST) and Special Projects, and has held this position since January 2012. Cuomo joined SGS Microelettronica, a predecessor company to STMicroelectronics, in 1983, covering managerial roles in Product Management and Strategy, and rose to become VP for the Headquarters Region in 1994. 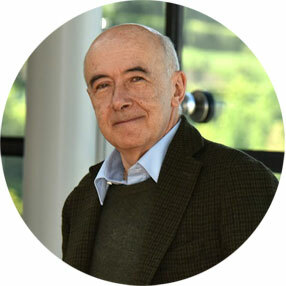 In 1998, he created the AST group, a key organisation for developing ST’s system knowledge and advanced architectures. In 2002, Cuomo was promoted to Corporate VP, AST General Manager, and took on further responsibilities as Chief Strategy Officer in 2005. In 2008, Cuomo was appointed Executive VP, General Manager, EMEA Sales & Marketing and AST. From July 2010 to June 2017 he was the Executive Chairman at 3Sun, the photovoltaic JV between ST, Enel, and Sharp. His board memberships include the Ospedale San Raffaele in Milano, the International Advisory Boards at the SDA Bocconi University in Milano, and at ESADE Business School in Barcelona, Spain. In June 2015, Cuomo became Chairman of the Governing Board at EU’s ECSEL Joint Undertaking. Andrea Cuomo was born in Milan, Italy, in 1954, and studied Nuclear Science at the Polytechnic of Milan. Strictly Necessary Cookie should be enabled at all times so that we can save your preferences for cookie settings and session values we need for the website to work properly.